Welcome to a very special guest post from Gabrielle Djanogly, the author of the utterly fabulous and original "Sign Here" - one of the most unusual books we've seen on the blog in a long while. 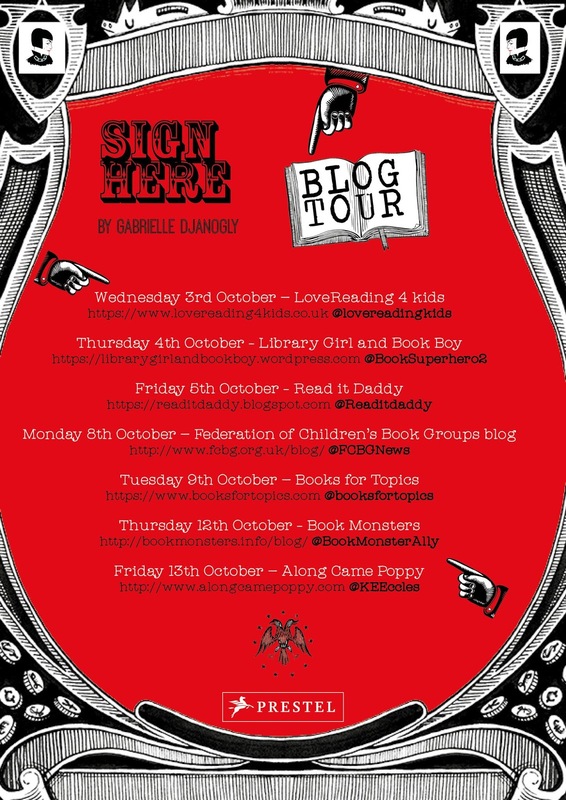 We don't want to spoil the book too much for you, as we have a review of the book coming up on the 8th October (watch out for it) but ahead of that we're lucky enough to have a fantastic set of favourite childhood books from Gabrielle - quite a few of which you'll find reviews for on this very blog! So without further ado, over to Gabrielle! 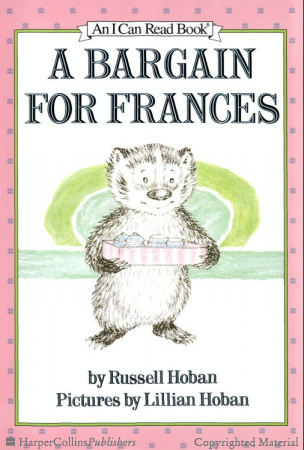 It’s extraordinary that the author who gave us Riddley Walker also wrote A Mouse and His Child, The Marzipan Pig and A Bargain for Frances and so much besides. A Bargain for Frances is a handbook on friendship, honesty and good old revenge! However, it wasn’t the ‘moral’ of the story that interested me most, but Frances’ description of the blue-and-white tea set she desperately covets, with ‘trees and birds and a Chinese house and a fence and a boat and people walking on a bridge.’ Not only did I recognise this description, my ma had plates with this same design. No doubt with my ma’s encouragement, I took the book and a plate into school for Friday’s ‘show and tell’. 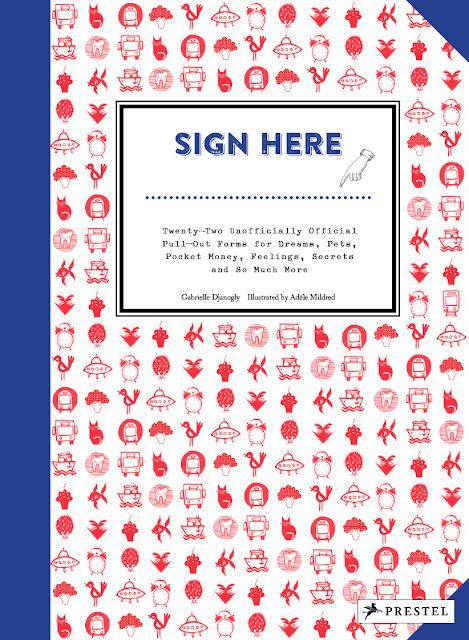 You can imagine my chagrin to learn that the willow pattern is not such a rare find! Not Now, Bernard by David McKee is a gem of a story. My nephew thought it was outrageous but I think it’s useful to know that your parents don’t always listen and a monster might eat you in the garden. 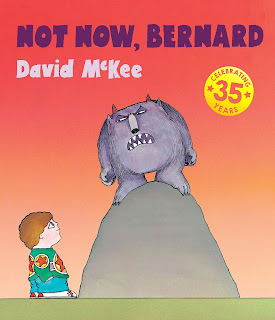 As an adult I can appreciate the monster as a metaphor for Bernard’s rage but I don’t always choose to. Adoration has taken its toll on my copy of No Roses for Harry by Gene Zion. Both as a child and adult I can empathise with Harry’s fashion shame – his brought about by grandma’s gift of a rose-patterned sweater, mine by my own (and impressively bold) misjudgement, from triple denim and a suede waistcoat to a Legally Blonde inspired pastel pink pencil skirt! 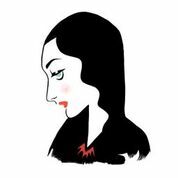 I adore Margaret Bloy Graham’s simple illustrations and approve wholeheartedly of the many green and orange hats (trust me, these are not popular colours in the millinery world and in China ‘wearing a green hat’ (戴绿帽子) refers to a woman who cheats on her lover). 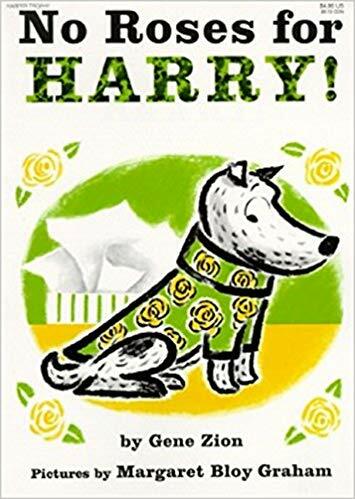 As a child I wrote my own story about Harry meeting Lynley Dodd’s Hairy Maclary (another of my favourite four-legged characters). (Editor's note: Another one of our favourite picture books of all time, along with the only other Harry books that you can still get "Harry By The Sea, Harry the Dirty Dog - and if you hunt for it, Harry and the Lady Next Door. If you've not seen these books, get hold of them as soon as you can. We would dearly love to see all the books reprinted - and perhaps even some of the 'missing' ones that have long fallen out of print as I'm sure I remember more than just the five). The Jolly Postman by Janet and Allen Ahlberg is a treasure chest of a book, brilliantly funny and so engaging. 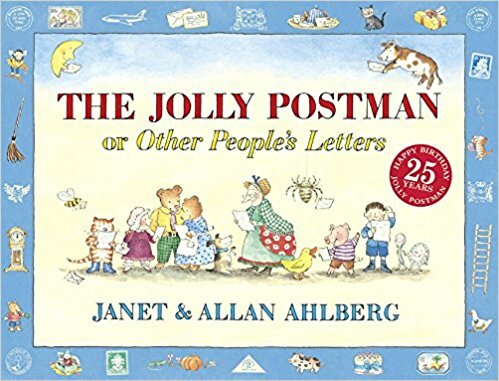 What I wouldn’t give to receive something as charming as the apology letter from Goldilocks to the Bear family, or as seriously smart as the solicitor’s letter to Mr Wolf regarding his occupation of grandma’s cottage! 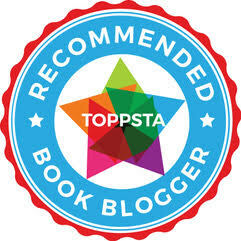 (Editor's Note: Yes another one of our favourite books makes Gabrielle's list. She really does have brilliant taste! Janet and Allan were such an amazing husband/wife team and Janet's loss is still heart-wrenching when you consider just how amazing a talent she was). 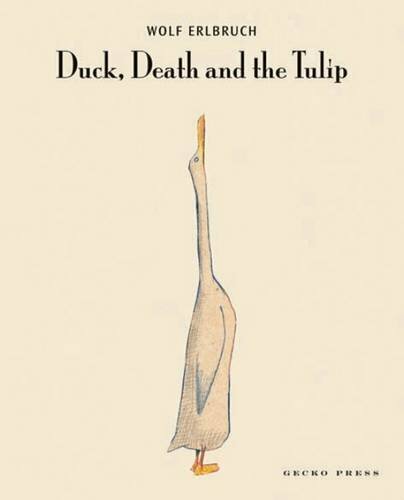 Duck, Death and the Tulip by Wolf Erlbruch is a work of calm and quiet wonder. 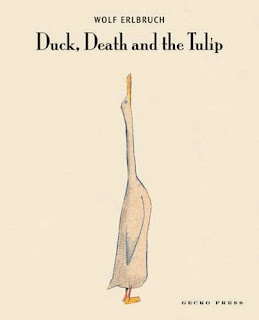 I’m still terrified of death, acutely aware it’s not optional, but in this tender tale Death, as a character, has a warm charm and cool wit similar to the narrator in Markus Zusak’s The Book Thief. 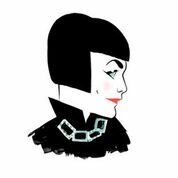 Gabrielle and Adele - creators of the fabulous "Sign Here"
Our thanks to Gabrielle for such a brilliant and interesting list. "Sign Here" by Gabrielle Djanogly and Adele Mildred is out now, published by Prestel.